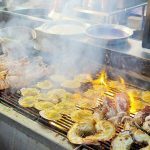 Taiwan food trip — 24 hour culinary experience in Taiwan - Living + Nomads – Travel tips, Guides, News & Information! Have you ever thought about ‘tasting’ all kinds of different foods of a country in just one day? 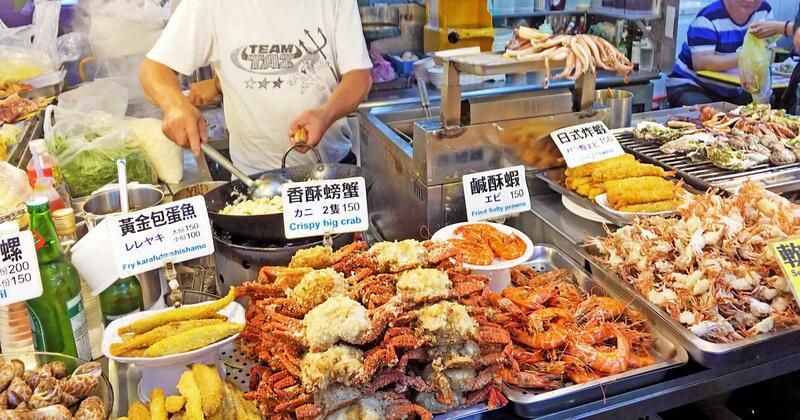 Besides Singapore, Taiwan is the perfect place for you to experience such an amazing food journey. 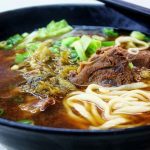 Let explore Taiwanese cuisine through my Taiwan food trip and Taiwan food blog — 24 hours of food and sightseeing. 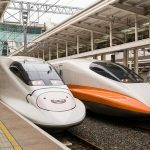 Taiwan is a tiny country, just about 1/9 the size of Vietnam, but it is so easy to get around using their efficient transportation systems that include HSR (high speed rail), MRT (mass rapid transit), buses, trains and taxis. All are ready to take you around exploring every corner! 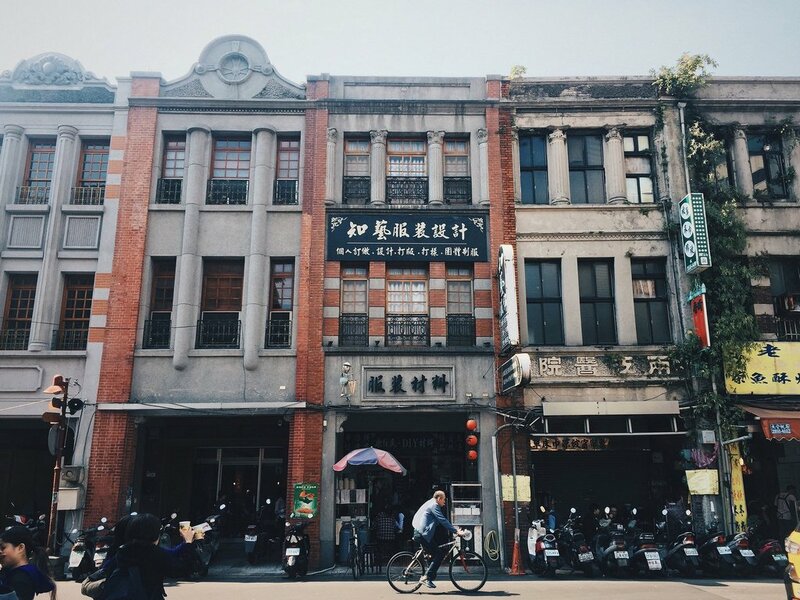 10.00AM, Taipei – Good morning! 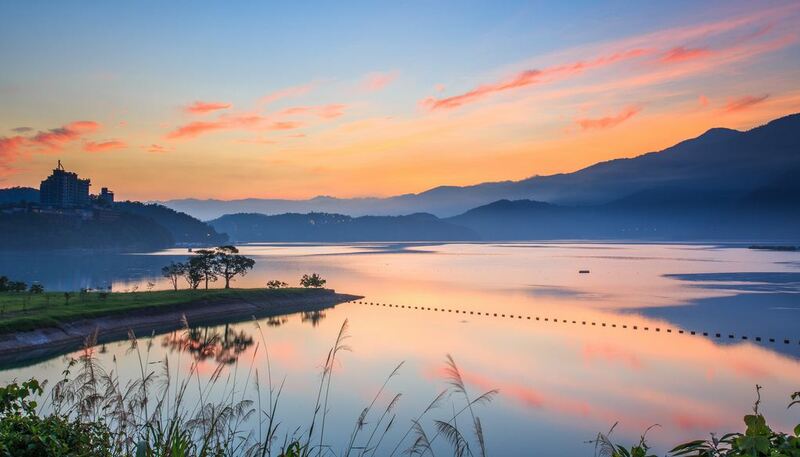 Taiwanese often start quite late in the day. At 9 to 10 am, right in the heart of Taipei, you can still see people queueing up to buy breakfast. After taking the Kuo-Kang bus from the airport to the city center, you can start the day with a traditional breakfast served at the well-known Full Want restaurant in Da’an District features teppan toast with corn and cheddar, or spring onion flavored crepes with Teppanyaki beef sauce, served along with a chilled glass of soy milk or green tea. 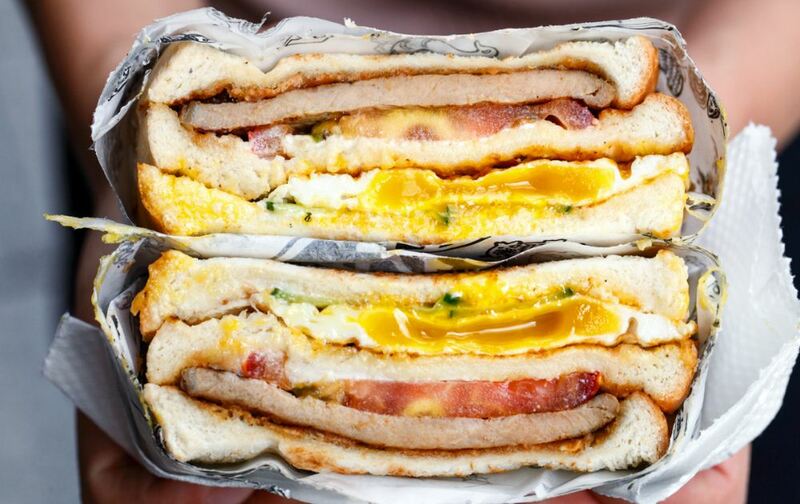 These are the dishes that you can easily find at any Taiwanese breakfast bar. The hot spring onion flavored crepes with crispy crust, overlapping thin layers of crepe, baked flour, rolled with spicy pork or Teppenyaki beef sauce is sure to make you drool at first sight. This is a popular breakfast option or simply a light meal for when hungry. 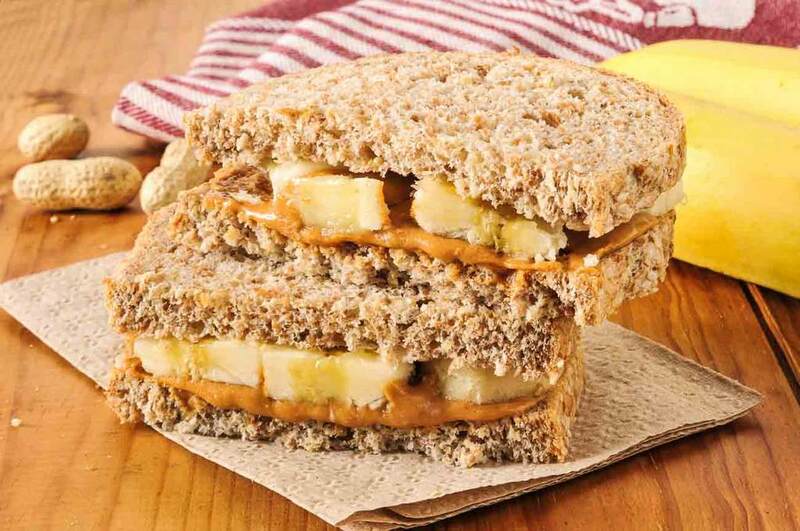 You can also try the peanut butter sandwiches. It may sound all too ‘familiar’ to you, or even simple, but Taiwanese peanut butter is incredibly delicious, a favorite among every Taiwanese since they were children. Easy to make lunch box recipe which is also protein packed. 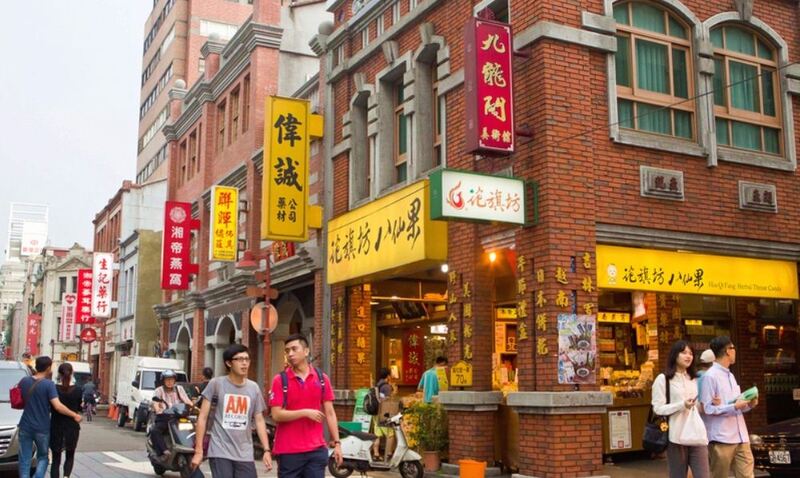 After breakfast, you can take the MRT to Dadaocheng, meaning ‘large field,’ an old town in Taipei with over 150 years of history. Dadaocheng Port used to be one of the busiest ports in Taiwan. 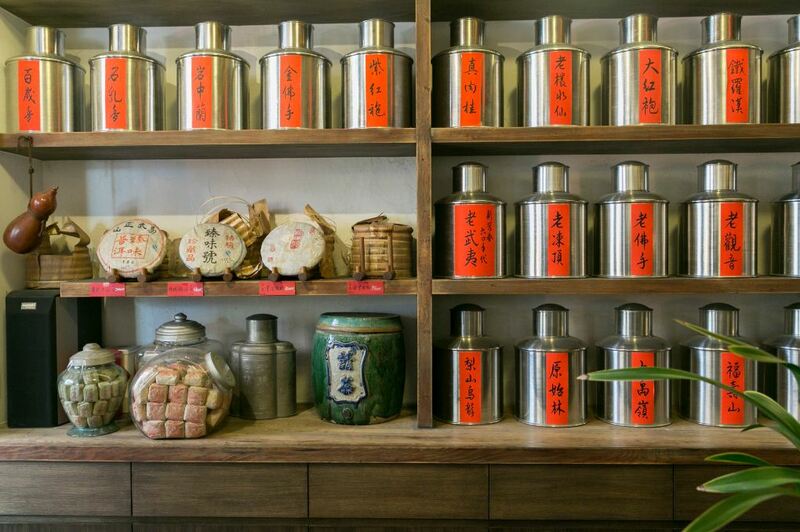 Here you can find many shops that sell tea, medicinal plants, and camphor. Taiwanese teaPhoto by: taiwan food trip blog. 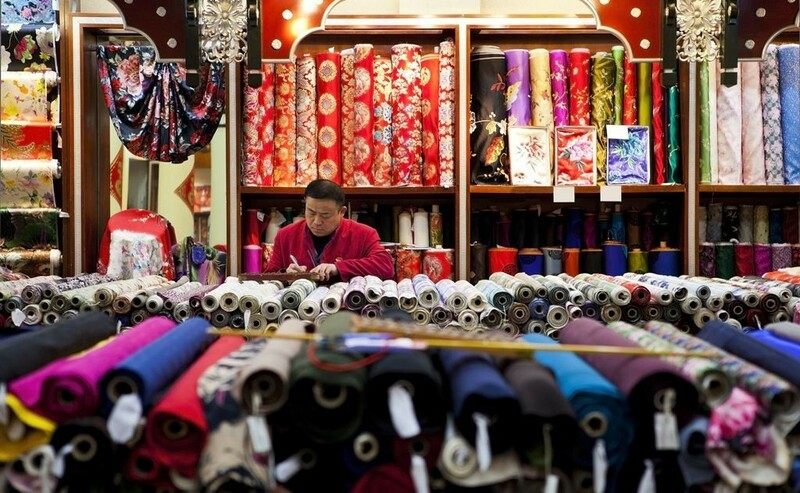 Dadaocheng is home to a large number of old buildings that include tube houses, offices, and temples. 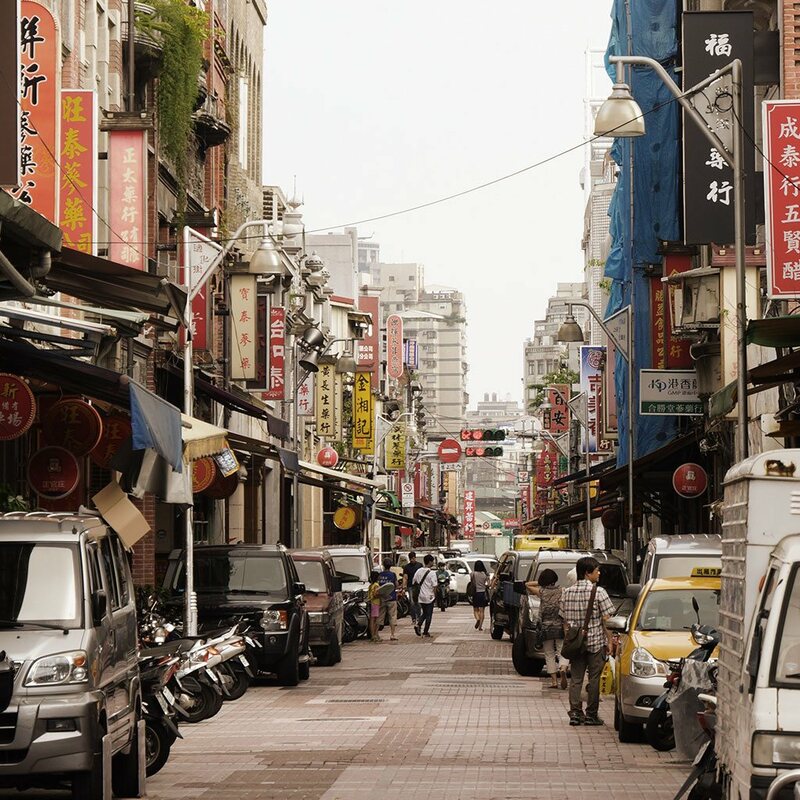 You can almost see Taipei’s history by looking at the street scene with its numerous architectural styles presenting certain historical periods in Taiwan from the Ching Dynasty, Japan, to the time they started trading with Western countries. 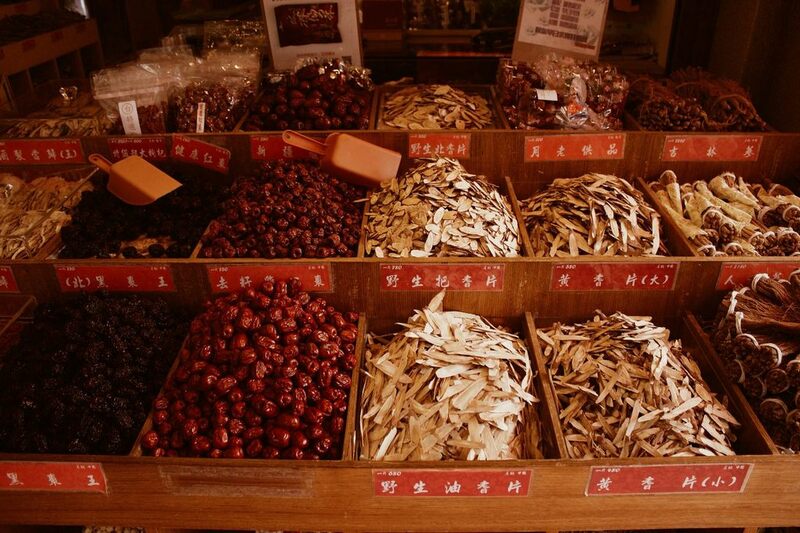 A dried food shop in Taipei’s Datong District. 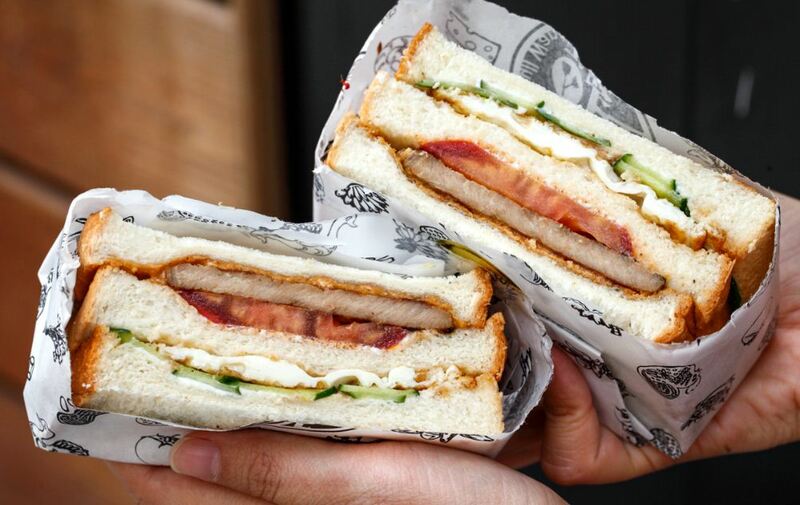 Photo by: taiwan food trip blog. 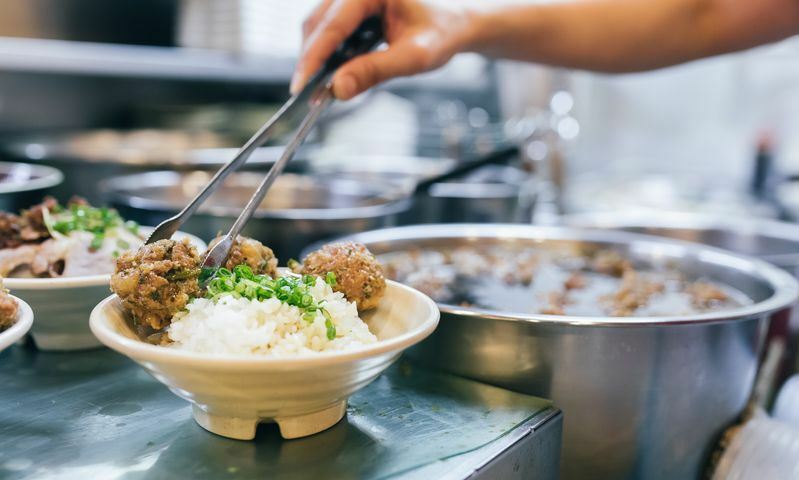 From Taipei, you take the HSR train from Taipei to Taichung for 54 minutes, and then immediately go to the traditional Taichung Second Public Market to try out their fantastic food. 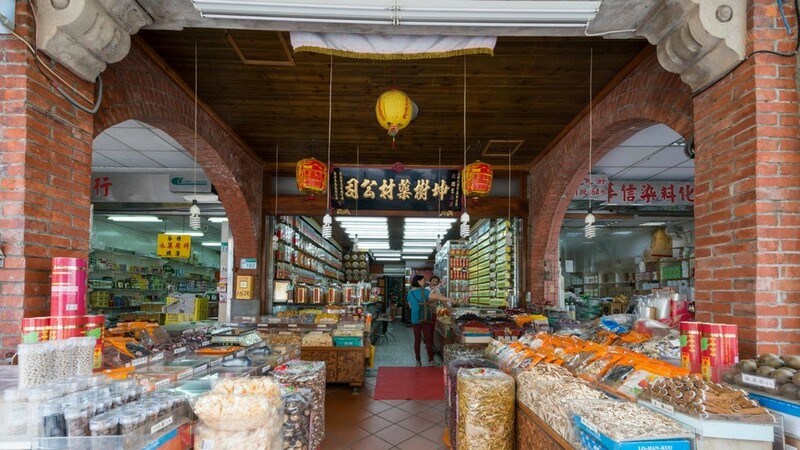 As a significant part of Taichung’s history, the Taichung Second Public Market was built in 1917 and, to this day, has lasted for 100 years. 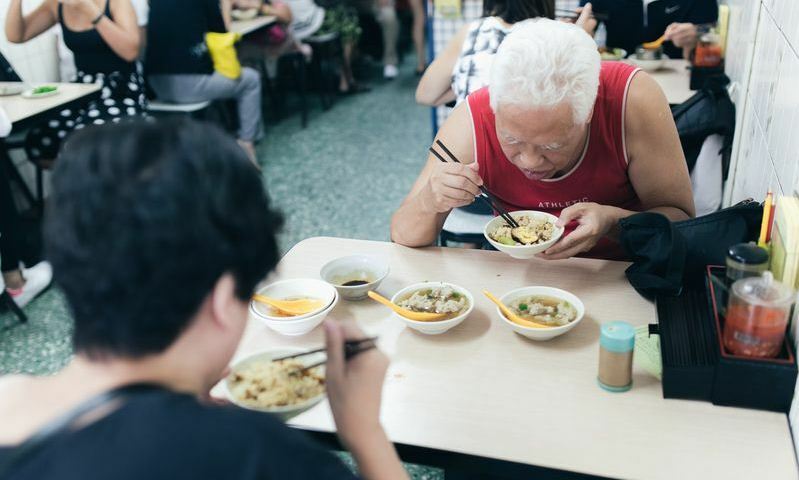 The place is famous for delicious traditional dishes such as black tea, dumplings, noodles, vermicelli, and especially the Lu Rou Fan pork rice. 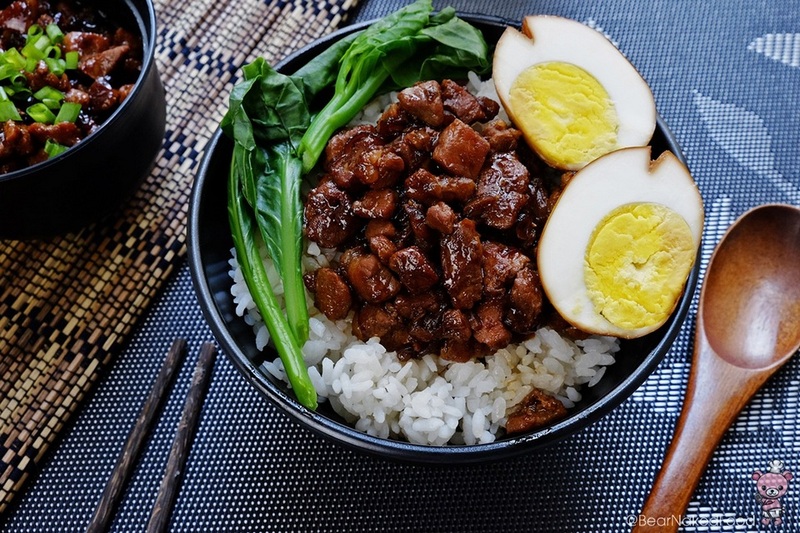 There is a Taiwanese saying that says every visitor to Taiwan must always try “beef noodle soup and pork rice.” Lu Rou Fan is a traditional pork rice dish in Taiwan. 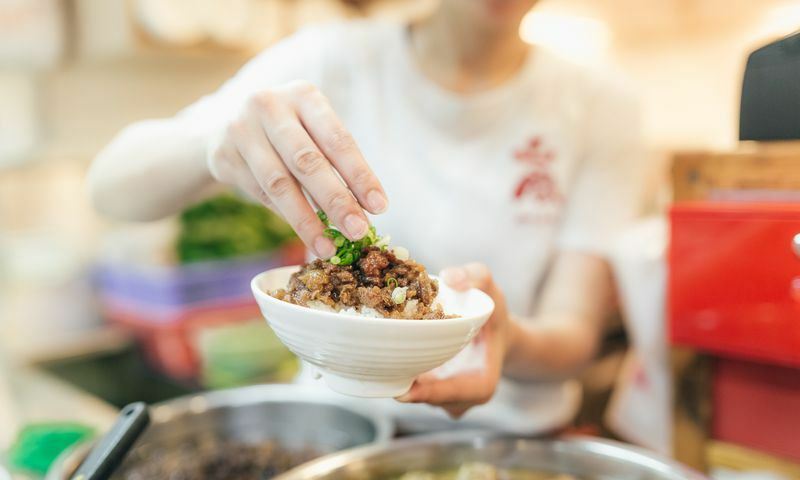 Depending on the region, people prepare the dish in two different ways: either with thin slices of pork or braised minced pork. The meat comes from the belly of the pig, and consists of different layers with the fat layering together with the meat. 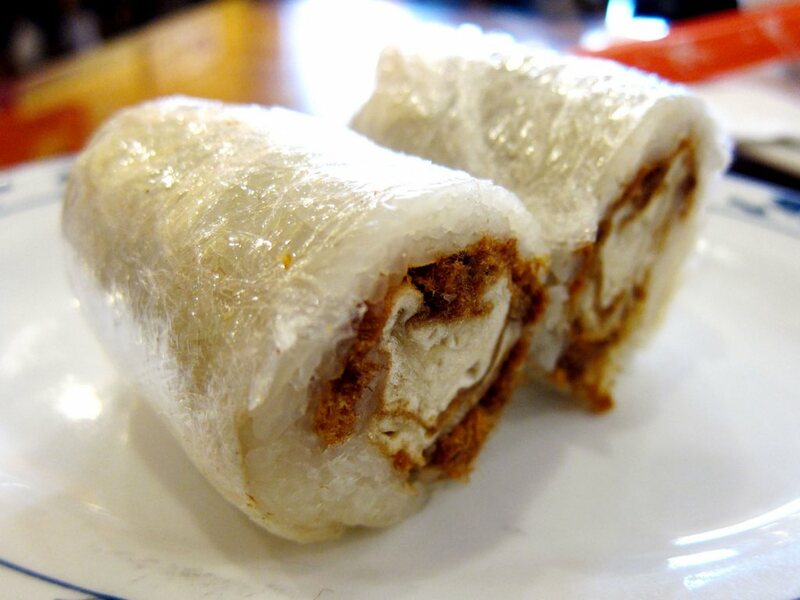 Without this layer of fat, Lu Rou Fan loses its unique touch. 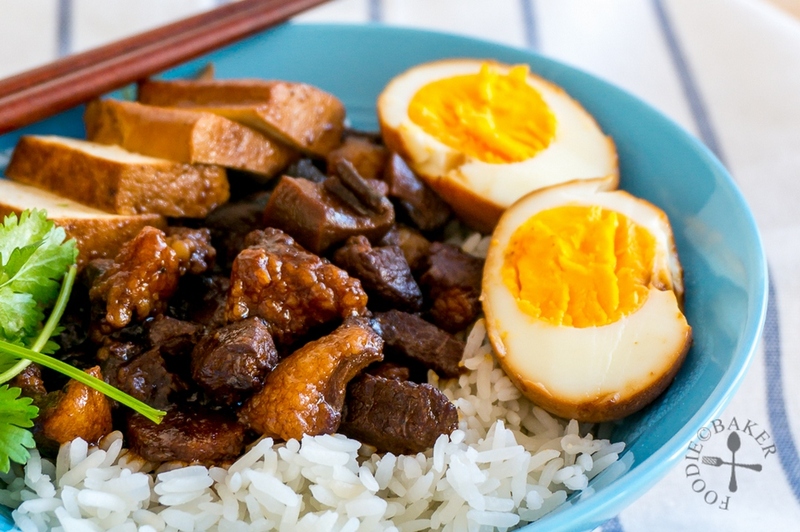 Taiwanese pork ragu on rice (lu rou fan) Rou-zao is a very specific and uniquely Taiwanese thing. Photo by: taiwan food trip blog. 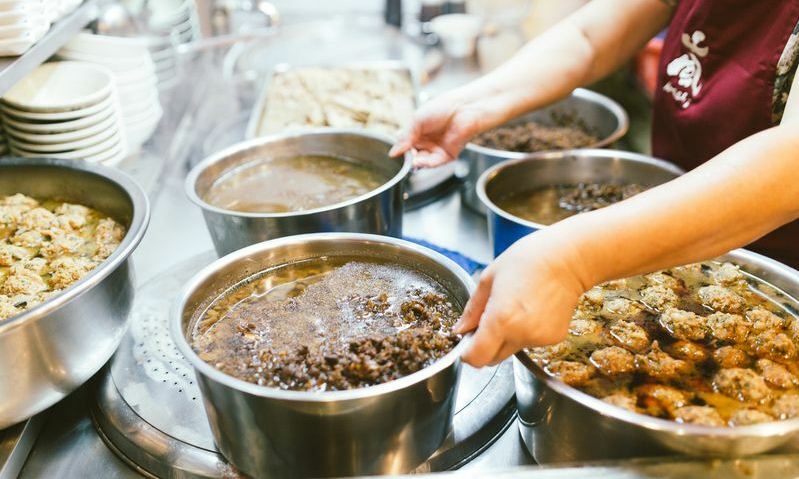 For many people, Lu Rou Fan is not only a delicious dish, but also a comfort food attached to their childhood, often with the image of their grandmother or mother preparing the dish in the kitchen. 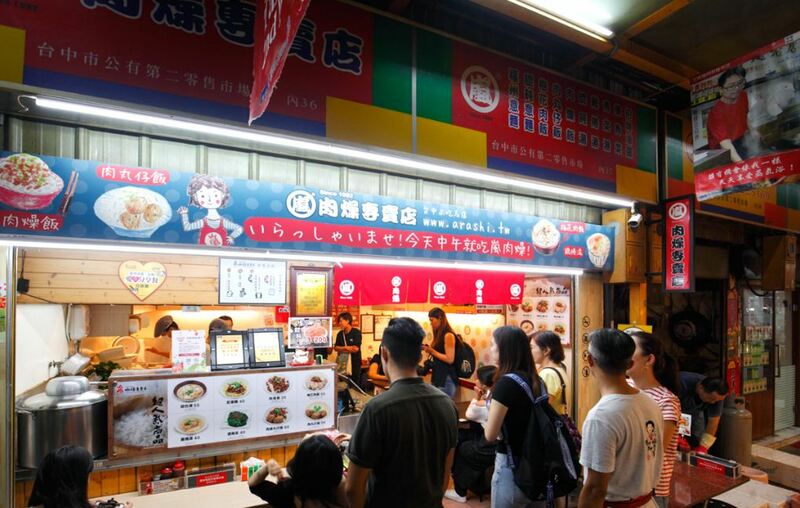 Right in the middle of the market you can visit the modest food stall Arashi of Lan Mama – it’s how the locals call her at least. 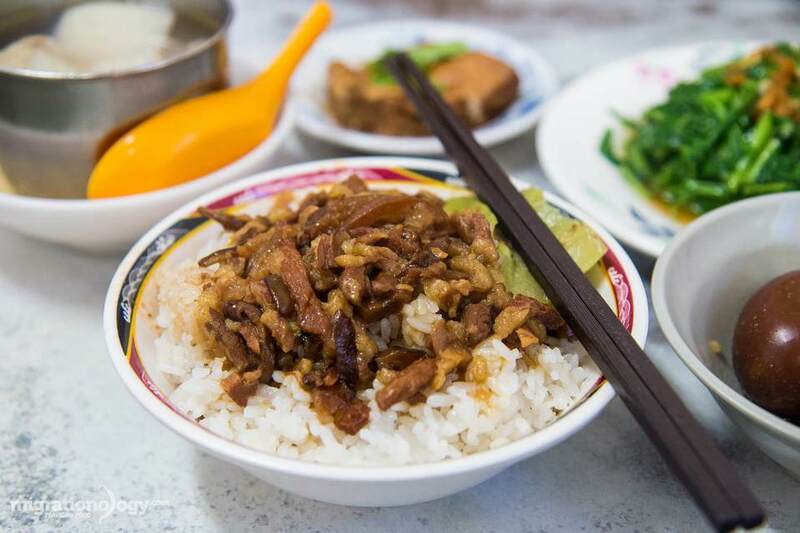 During my first lunch in Taichung I was presented with a hot bowl of white rice, and minced pork, braised in sauce and sprinkled with spring onion. Definitely this is one of the best ‘home-made’ meals out there. It is how the locals have enjoyed their moments of pleasure during a long day of work. Lan’s Minced Pork Restaurant Taichung Market. 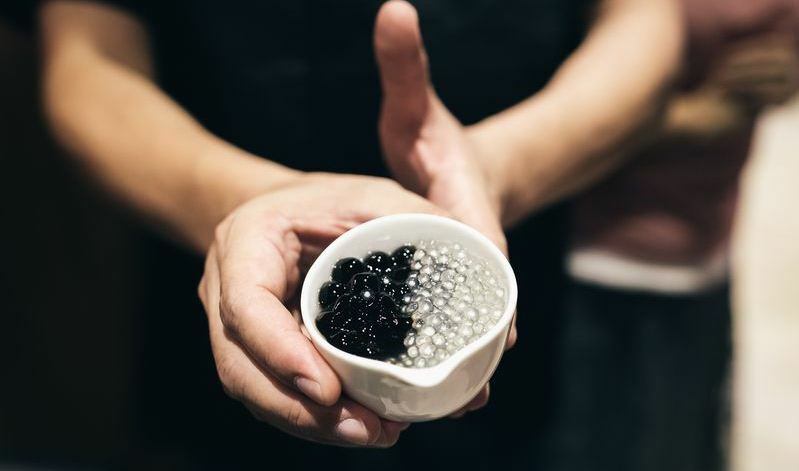 Image by: taiwan culinary blog. 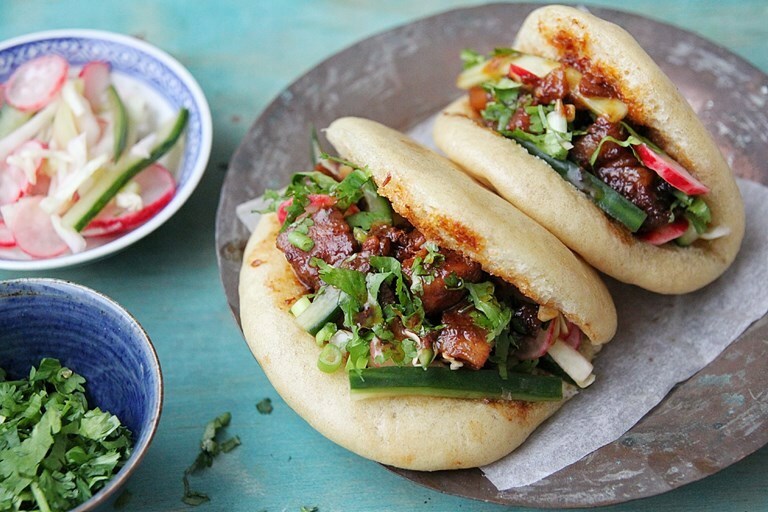 Image by: taiwan culinary blog. 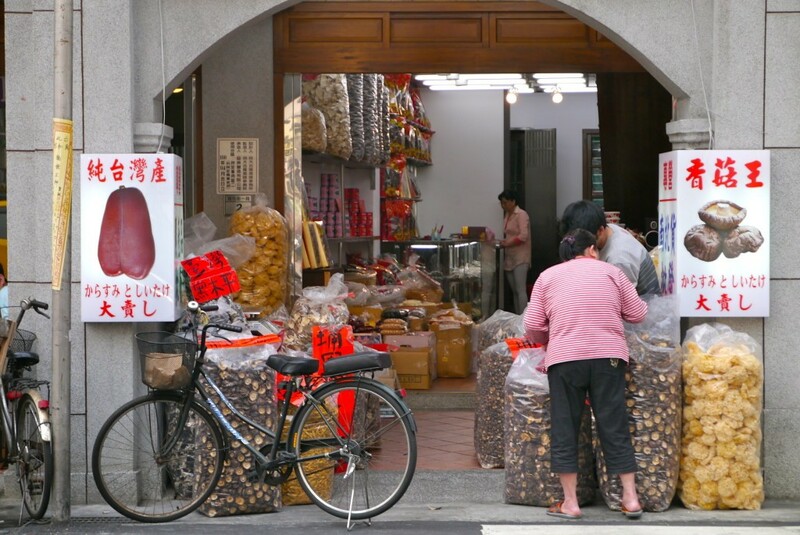 Tainan is a quiet city filled with nostalgia for ‘lazy days’, where you can take a leisurely bicycle ride through the streets, lining up for a char siu bao, or sipping a glass of milk bubble tea with friends during a hot summer day. 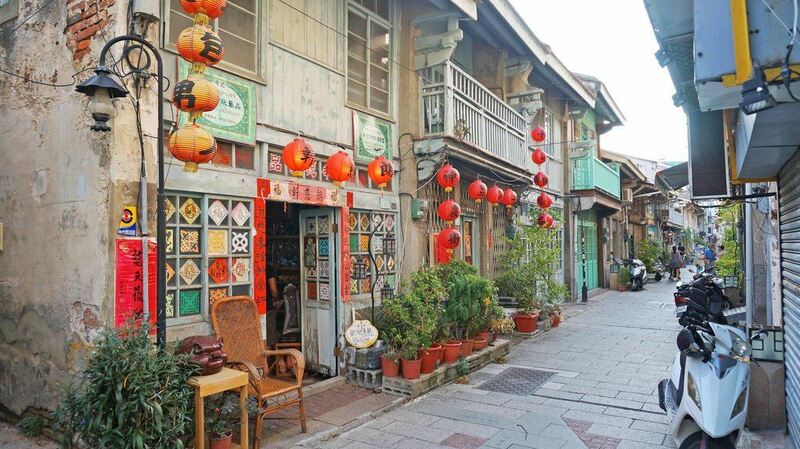 Fuzhong St Tainan, Taiwan. 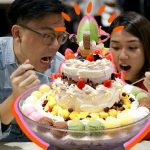 Photo by: taiwan food trip blog. 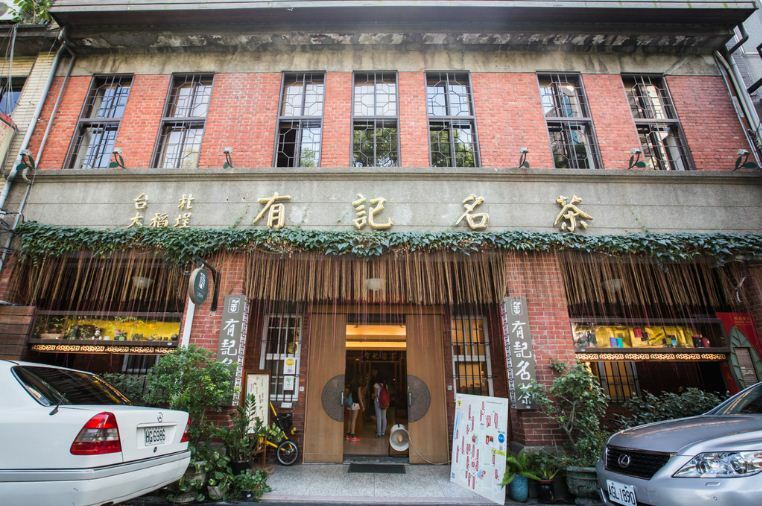 One of the most checked-in places in Tainan is the Hanlin Tearoom – the original birthplace of Taiwan’s bubble milk tea. 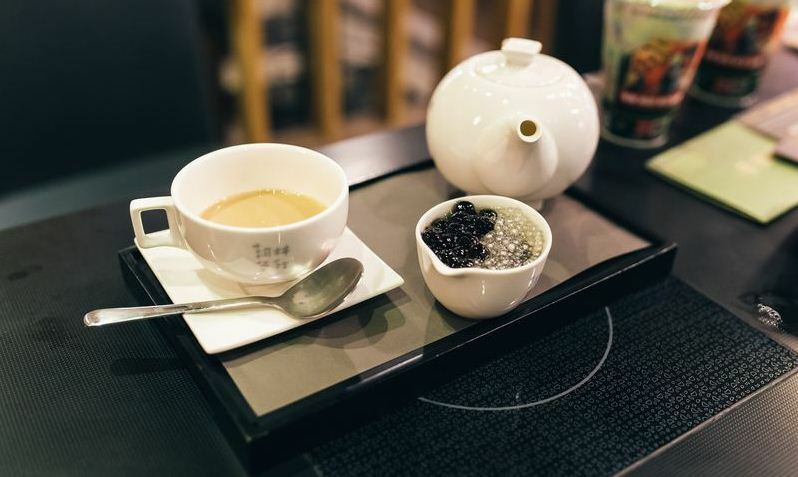 In 1986, Mr. Tu Tsong, the owner of a tea shop, came up with the idea of adding white tapioca and milk to hot black tea. 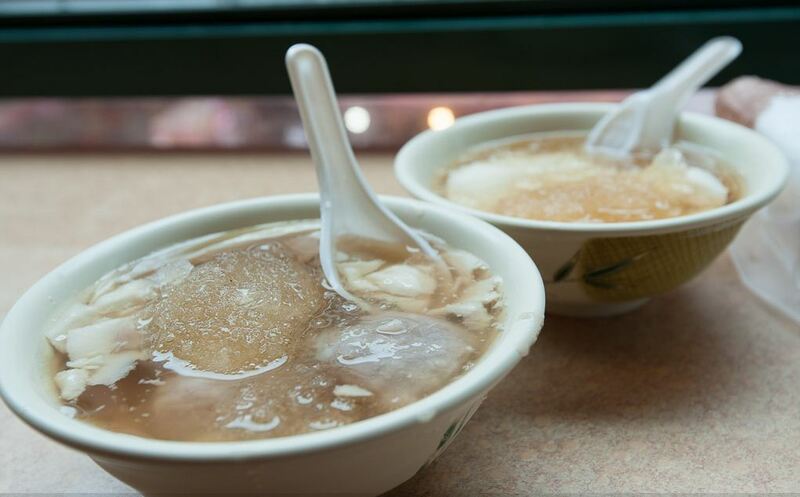 The tea which is richly flavored by the tanginess combined with creamy milk and the chewy texture of tapioca pearls, has since become a popular drink all over the world, to the point where the Taiwanese government claimed it as their national drink. 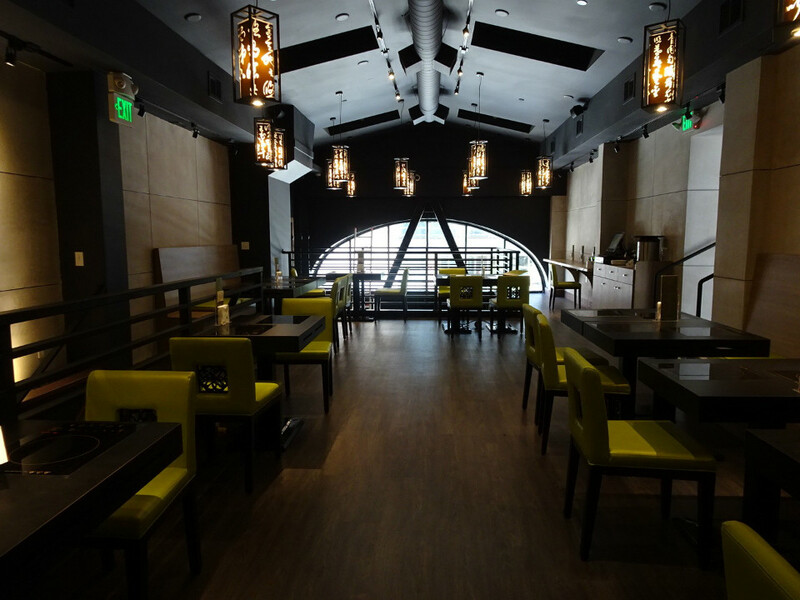 At Hanlin Tearoom, you can enjoy the original version of bubble milk tea, which is presented with a pot of hot milk tea, two small cups, and a bowl of black and white pearls on the side. If you prefer your bubble milk tea cold, it will be served in a huge size. 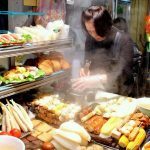 Photo by: taiwan food trip blog. Taiwanese also like to enjoy a small dessert with their milk tea. 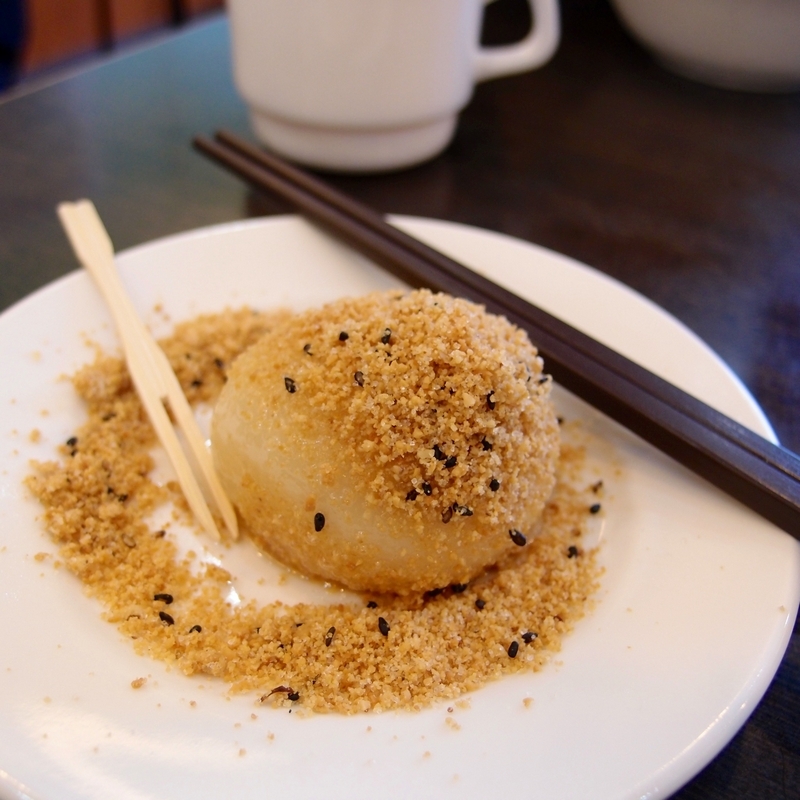 One of the ten most popular desserts for the locals here is the mochi which can be stuffed with red beans or peanut butter. 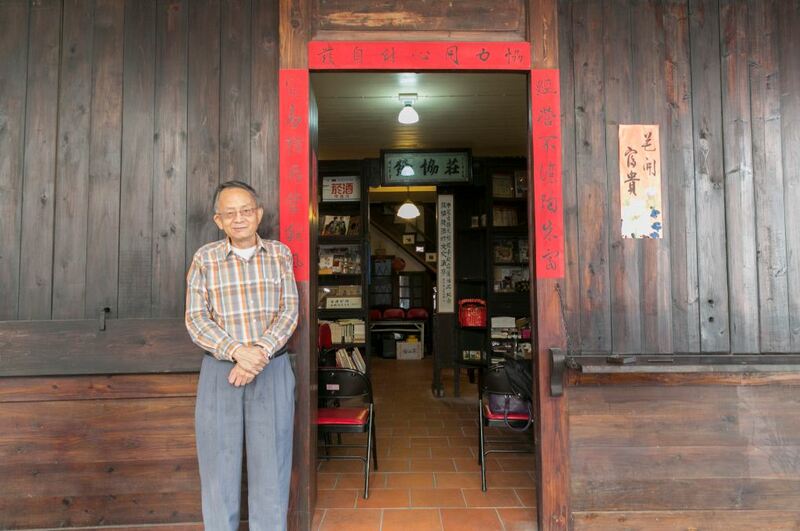 A quick tip for you if you do not have time to visit Tainan, there is a Hanlin Tearoom store in Taichung where you can enjoy your favorite milk tea the old-fashioned way (served hot). 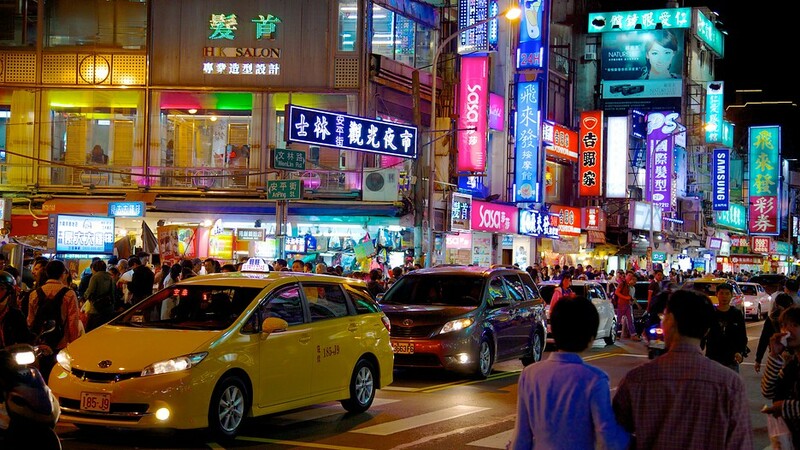 Shilin Night Market, Taipei. Photo by: taiwan food trip blog. 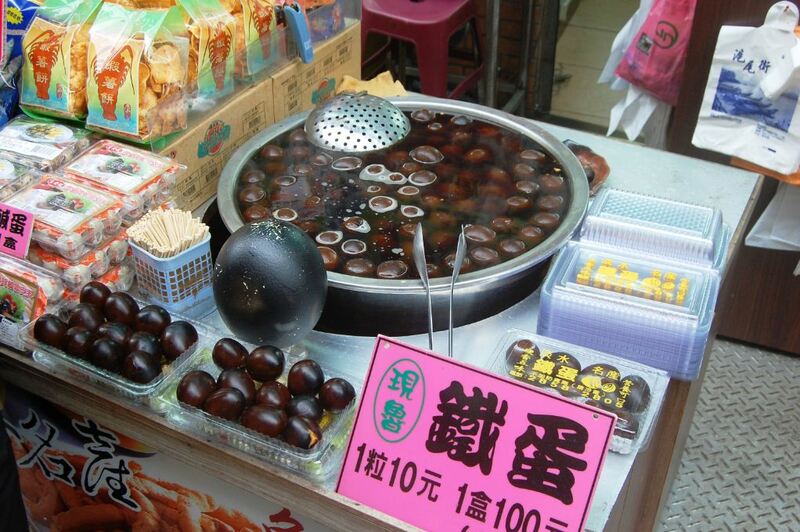 The culinary journey in Taiwan would not be complete without a walk around the night market. 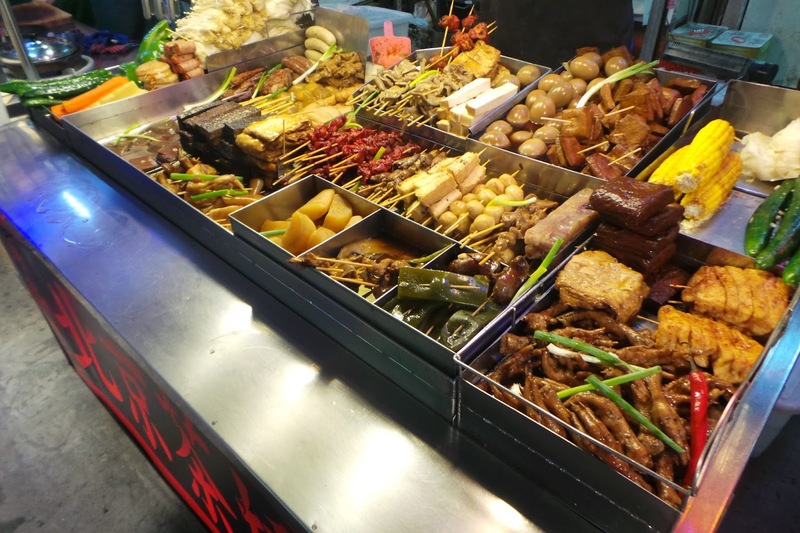 Taiwan’s night market has long been known as Asia’s culinary paradise with a wide variety of food choices. If you only try one new thing a day, you might have to stay for a month. 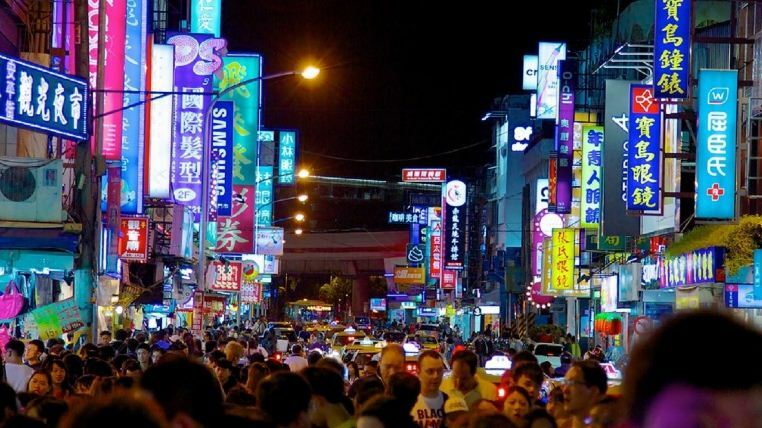 Shilin Night Market (Taipei), Feng Chia (Taichung) and Hua Yuan (Tainan) are the most popular night markets with visitors. 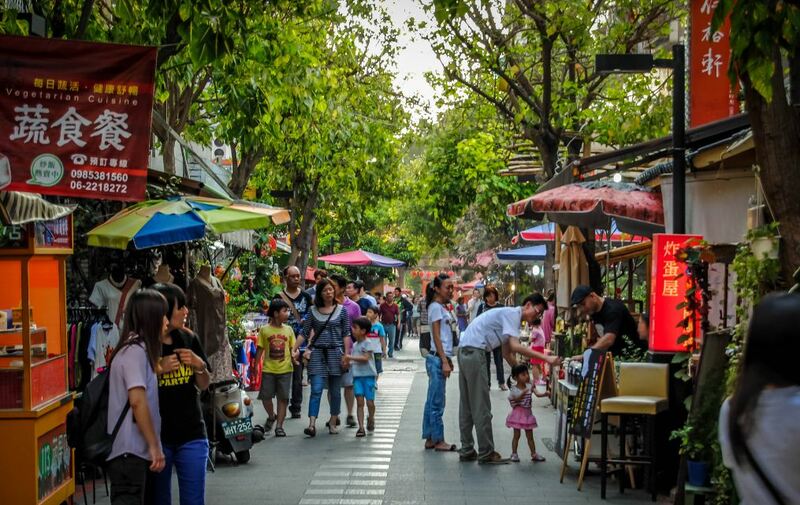 Not only a place to shop and eat, the night markets are great places for young people to spend time together. Shilin Night Market Food Court. 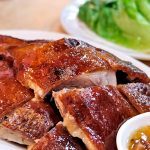 Image by: taiwan culinary blog. 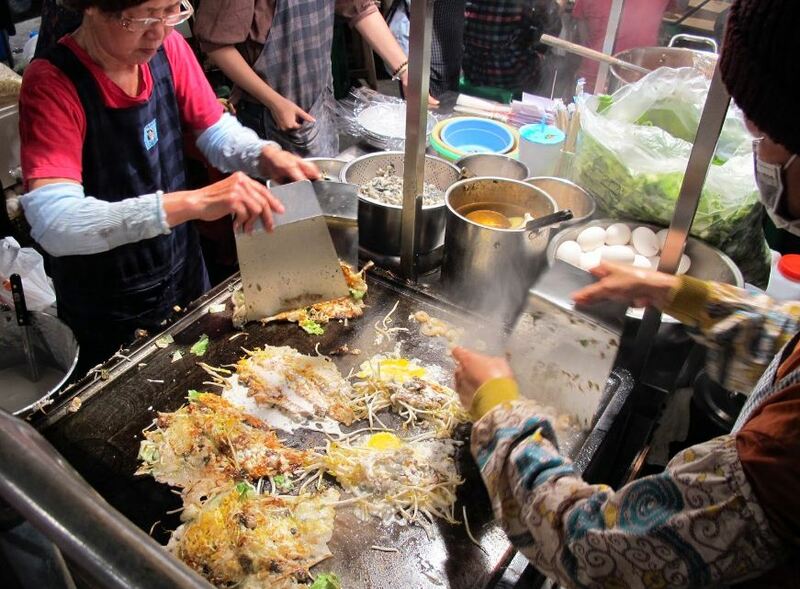 Oyster omelettes are one of Taiwan’s most popular street snacks, and Tainan’s Huayuan Night Market (aka Flowers Night Market, 花園夜市), … Photo by: taiwan food trip blog. 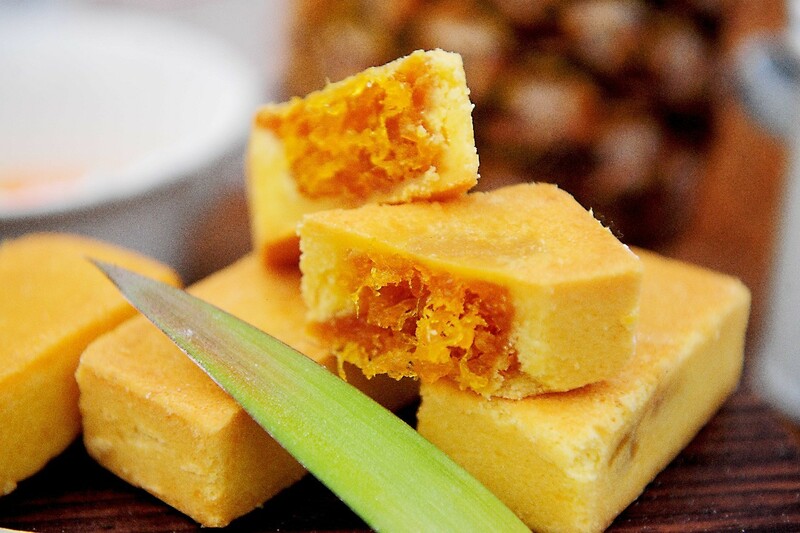 Pineapple cake. Image by: taiwan culinary blog. Spicy Iron Eggs. 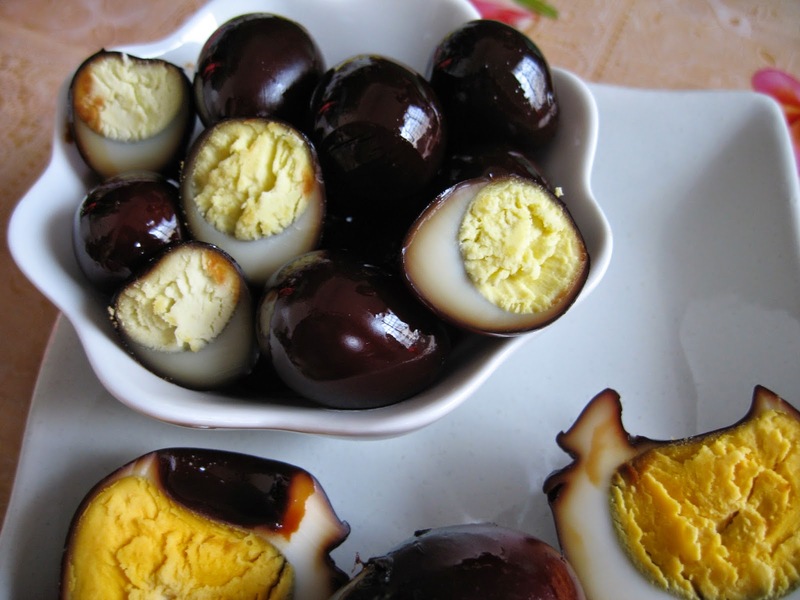 Image by: taiwan culinary blog. 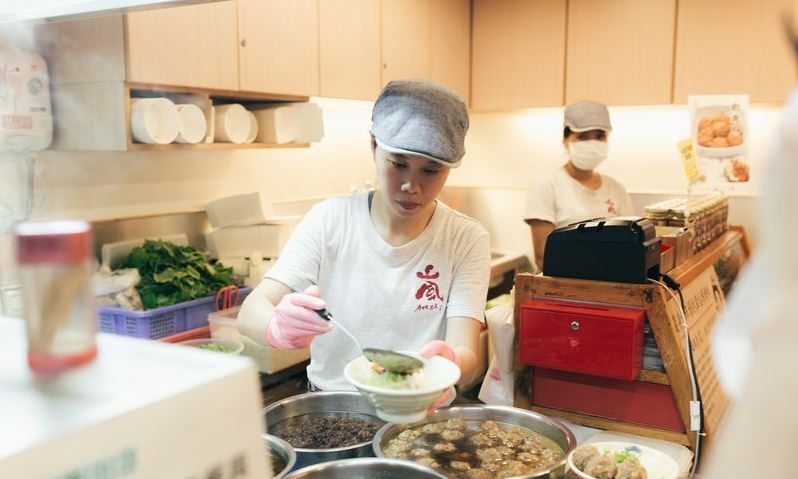 After a long walk, it’s time to stop for a refreshing beef noodle soup – one of the two of Taiwan’s ‘national food’. 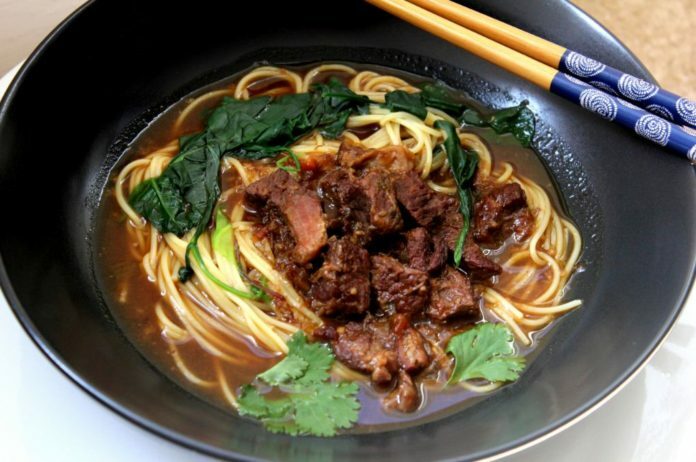 It is made with fresh noodles, flavored dark broth, tender braised beef, and the mild scent from the herbs. It’s certainly one of the must-try foods. 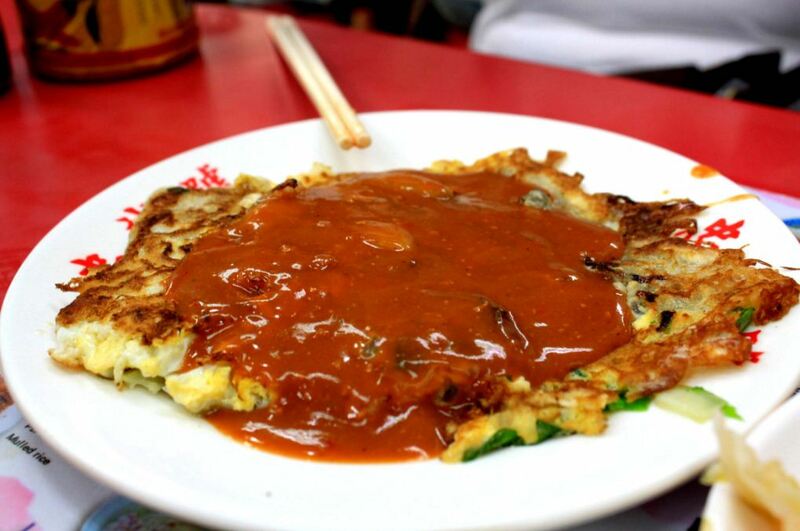 After the beef noodle soup, you can also try the oyster omelet. People here often cook oysters by fire, so the oysters remain juicy, fresh and sweet, unlike when being grilled by charcoal. 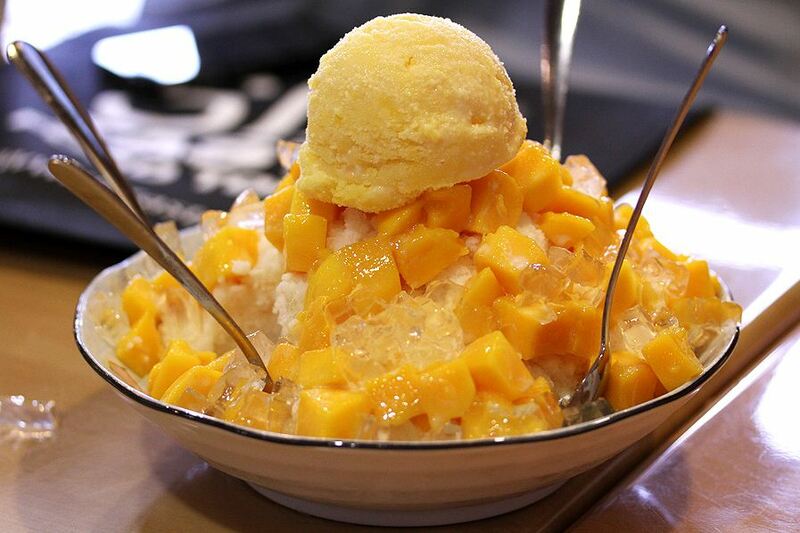 You can then complete your dinner with sweet mango ice cream or Dou Hua – a chilled tofu dessert in sugar syrup, served with red beans, green beans, and mochi. Oyster omelet. Photo by: taiwan food trip blog. Douhua (tofu pudding) in Taipei, Taiwan. Photo by: taiwan food trip blog. Our exciting culinary trip in “Asia’s cuisine paradise” has finally come to an end with delicious food from restaurants to the streets, which one was your favorite dish? 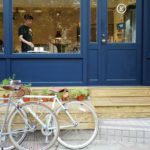 Credit: must eat food in taipei blog. 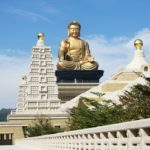 Are you finding more top things to do in Taiwan: Tours, activities, attractions and other things? Let’s check it out at here.